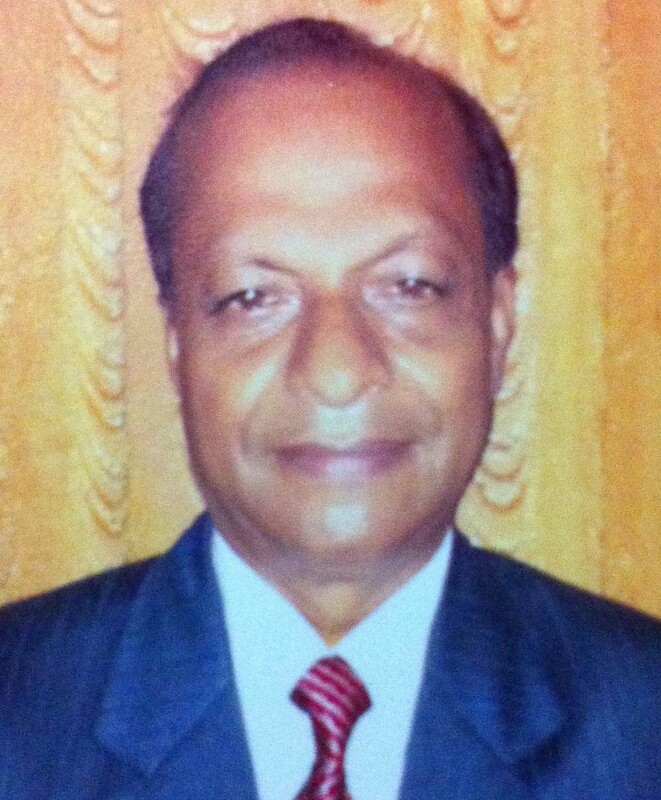 By Ramesh K. Dhiman : His down-to-earth persona, his personable demeanor, and a permanent 100-watt beam on his wrinkled face belie his iconic status. His vision of creating the Utopia synchronizes so well with his indomitable spirit and formidable perseverance. This grand old man is none other than the unassuming and self-effacing Nek Chand, the creator of the fairyland, called the Rock Garden, which continues to attract cognoscenti from across the world. The creator of this wonderland celebrates his 90th birthday today. Born on December 15, 1924, and brought up in a non-descript village in Gurdaspur under Shakargarh tehsil (now in Pakistan), Nek Chand and his family migrated to Chandigarh in 1947 post the partition of the country that resulted in mass exodus. As the family was getting used to the whole new settings, Nek Chand landed a job of road inspector in the public works department in 1951, which proved to be a boon in disguise for this self-taught creative artist who was quite comfortable with the art of sculpting. While continuing with job with all seriousness it merited, his innate desire to create something unique for posterity kept him alive to his chartered mission. He tells this writer that his passion to play with the clay and stone remained his cherished mission. Going back on the memory lane he recalls nostalgically that during his childhood days of yore he used to play with sand and clay in gay abandon, randomly sculpting out images of the unknown. His love for the inborn passion remains intact even today, as he would go paddling his Victorian bicycle around the city collecting shards of ceramic, earthen pots, broken bangles, discarded poetry, electric fittings and other gadgets from the piles of waste and creating magical images out of sheer waste. Shelling out a whale of his quality time, carting the waste and working overtime to create the dream land where lovers of art come from home and abroad registering a footfall of 5000 visitors daily. Nek Chand reminisces that how passionately collected mud, sand and clay and other material to make toy houses and homesteads, raze them and recreate them yet again. He admits that his creativity was no different than his peers of his age. He tells in all humility that in every object he saw His own manifestation. I had no plans to create Rock garden, but had nurtured a secret desire to create the kingdom of god. Rock Garden perhaps is the defining moment for me to live up to that dream as I see today. The garden, which is spread over 40 acres, is not guided by any set parameters, designs or plans, to say the least. Everything started taking shape spontaneously as it kicked off. As the wonderland was shaping up into a palpable reality, the Chandigarh Administration was hammers and tongs to raze it to rubble since it was created on a major chunk of public land. It was the year 1975 by which time it had caught fancy of the city aficionados who would visit this Mecca of tourists in the making. They made a human chain and came out in the open against the Administration’s decision to demolish the rare jewel of Chandigarh. 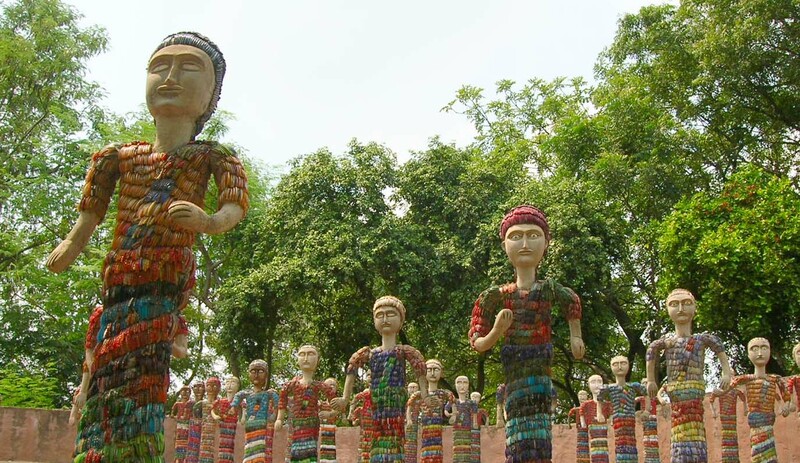 This gesture turned out to be boon in disguise as the Administration took the onus of its upkeep in its own hands, with Nek Chand named as its caretaker, who was given adequate workforce and infrastructure to maintain and promote it further. The garden was formally inaugurated on January 24, 1976. The rest is history. Today, the fabled Rock Garden has crossed three phases and houses the most enigmatic man-made creations out of waste and discarded material. The garden displays sculptures of human beings, dancers, singers, laborers, women carrying pots and pitchers perched precarious over their heads, musicians, animals and birds including peacocks, monkeys, elephants, horses, camels, deer and ducks et al. It offers a typical rural metaphor churning out vales, waterfalls and well with pathways that leave all mesmerized. It has open air theaters and pavilions too. After earning accolades abound on the home turf, Nek Chand’s magical work of aesthetic art started getting international recognition in the early 80s by receiving invitations from various countries of the world to share his views on his art and replicate the experiment in those countries. He was awarded in Washington D.C. by the Mayor of the District of Columbia during the inauguration of ‘Fantasy Garden’ (identical to Rock Garden) on October 5, 1985, and the day was named as Nek Chand’s Day in the District of Columbia. Then he visited several other countries on invitation, including Germany, Spain, Washington D.C., Paris etc. Nek Chand, who was awarded the coveted Padma Shri by Government of India in 1984, besides releasing a stamp on him in 1983, wanted this place to be a great stress buster for those visiting. I want everybody to come with curiosity and go back with fond memories of this divine place. I want everyone to pay a visit to this fairyland and share his/her valued views suggestions to make it all the more enjoyable place to visit again and again. Nek Chand spends a quality time in Rock Garden, interacting with people and sharing views and experiences and listening to their views. We at the India Post wish him many more happier returns of the day!